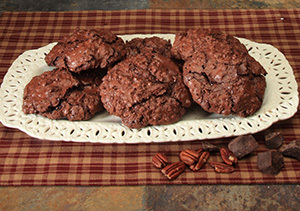 Try our Chocolate Chunk cookies made with pure Valrhona chocolate... or try our own, unique Chocolate Chewies made with Valrhona chocolates and crushed pecans. 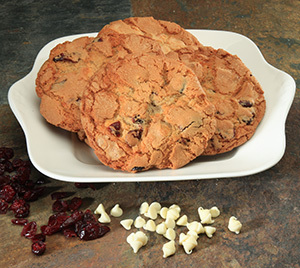 Our gourmet cookies are handcrafted to order and shipped fresh from the oven the same day as baked. 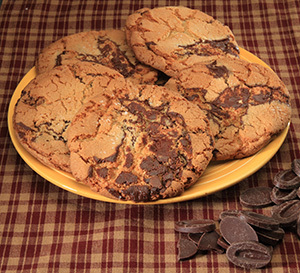 Ruth's Original Cookies are hard to the tooth rich with chocolate flavor. 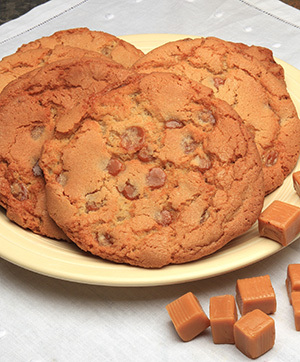 Order cookies online any time of the year. To place an order for any of the RUTH'S OWN COOKIES listed below, select QUANTITY desired (all must ship to the same person). and then click ADD TO CART. When ordering the exact same item for more than one person, please place separate orders for each. You will be able to designate the recipient for each item ordered at Check-out. Our Cookies Are Huge... Almost 4" in Diameter! A chocolate lover's dream! 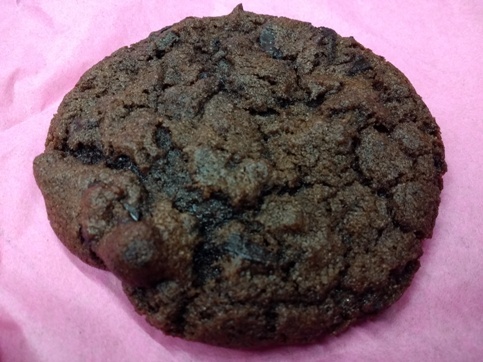 Made with our secret blend of Valrhona cocoa! 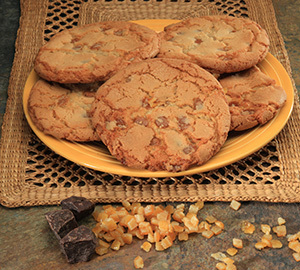 Chunks of fresh caramel mixed into the batter and baked give this cookie its distinctive flavor. Best with a glass of fresh, cold milk.